Looking for an iconic Christmas family photo? Then look no further. ‘Santa by the Surf’ combines traditional Christmas photos with Aussie beach culture to create awesome family keepsakes and festive social media content. 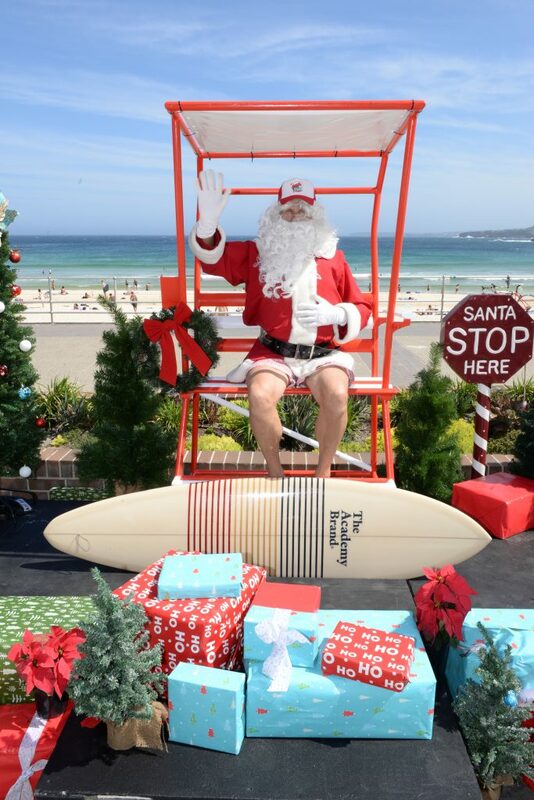 The concept launched last year at North Bondi to such huge demand, Academy Brand has come on board as sole presenting partner for 2018 to expand Santa by the Surf across four iconic Sydney beaches in the month leading up to Christmas Day. 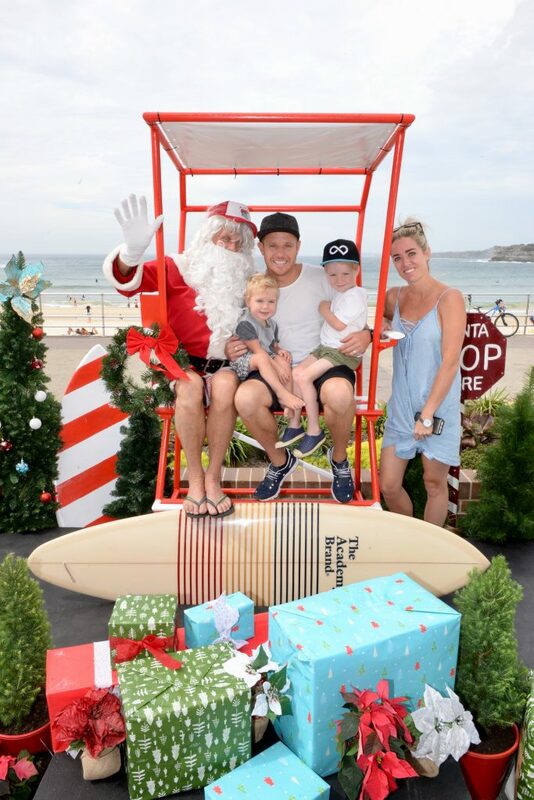 Families and their fur babies can slip off their thongs and pose with Santa, his sack of presents and surfboard against the backdrop of a stunning Sydney beach. This year Santa by the Surf has grown from North Bondi Surf Club to also cover Watsons Bay, Manly Wharf and Bronte Surf Club with multiple dates and times available at each location. Each photo shoot lasts approximately five minutes and slots can be secured online ahead of the day to avoid queuing or disappointment. Every booking will receive a 20% discount code for Academy Brand’s menswear and boys collections, which include stylish boardies, summer shirts and T-shirts ideal for the beachside photo shoots. Families who post and tag their Santa by the Surf photographs on social media will also be in with a chance of winning an Academy Brand prize pack. ← KFC GIFTS THAT ARE ‘SO GOOD’ FOR CHRISTMAS!